Added 250 mL acetone to TiO2. Sonicated from 9:35 am to 9:40 am at 21°C to 22°C. Added ABS and sonicated from 9:40 am at 22°C to 5:15 pm at 79°C. Heated the pan at 80°C from 5:15 pm to 7:15 pm. Cut up all the 5% filament run through Dr. Fox's extruder on 9/24. Put through FIlabot extruder at 180°C. A few very loud squeaks were heard but nothing as loud as the previous time the machine was used. Once again, the filament went in a very light tan and came out a very light gray. As usual it thinned out on the bottom once the hopper was empty of polymer. Cut up the 10% filaments casted on 9/24 and 9/26 into small pieces for Dr. Fox's extruder. Massed total and measured 52.5814 g/ After running though Dr. Fox's extruder just 48.7314 g were measured. The ABS-TiO2 was run and cleaned just like the 9/24 procedure. However, the 3rd run was set only to 150 rpm due to the stickiness of the polymer slowing down the mixers and raising the force too high to go to 200 rpm on that run. 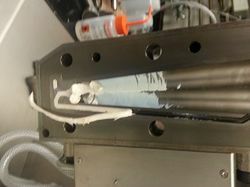 It was noted that the 10% ABS-TiO2 really stuck to the inner walls of the extruder, making cleaning very difficult. Also, it went in an off-white and came out a very light tan like before. The cast came out very well, only a few air bubbles were noticed. It was very smooth and homogeneous. Figure 1: Interior of Dr. Fox's extruder after first run. The polymer proved to be very sticky. 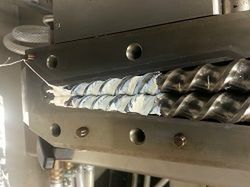 Figure 2: Drill bits of Dr. Fox's extruder after fifth run. The polymer was caked onto the drill bits which required a long clean up time. 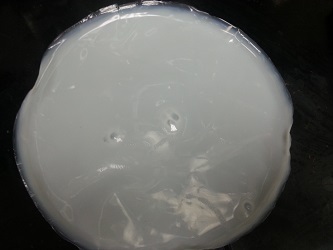 Figure 3: 1% casting. Very smooth, no ABS chunks were noticed.